Made from super scratchable natural fibres (e.g. 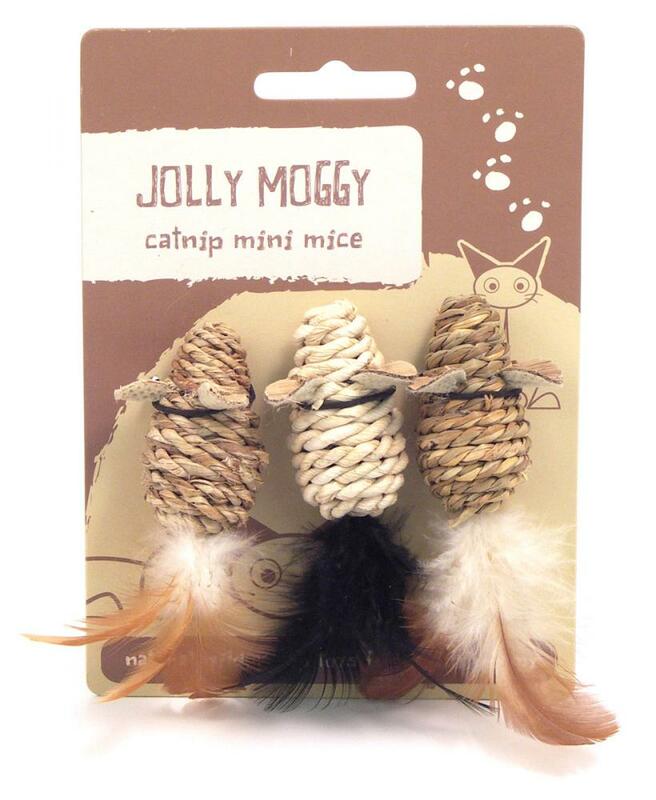 sisal), the catnip infused Jolly Moggy Catnip Mini Mice are all you need to keep your cats entertained whilst also sharpening claws and keeping them clean. The fluffy tail feathers add another dynamic to this toy meaning your feline friend will have even more to play with than the average catnip toy. There are currently no questions for Jolly Moggy Catnip Mini Mice - be the first to ask one!